Over fifty representatives from Ethiopia’s Financial Intelligence Center, insurance sector, and microfinance institutions met along with compliance officers and risk managers from the country’s nineteen public and private banks to discuss the regulatory standards and compliance requirements for financial service providers related to anti-money laundering and countering the financing of terrorism (AML/CFT). 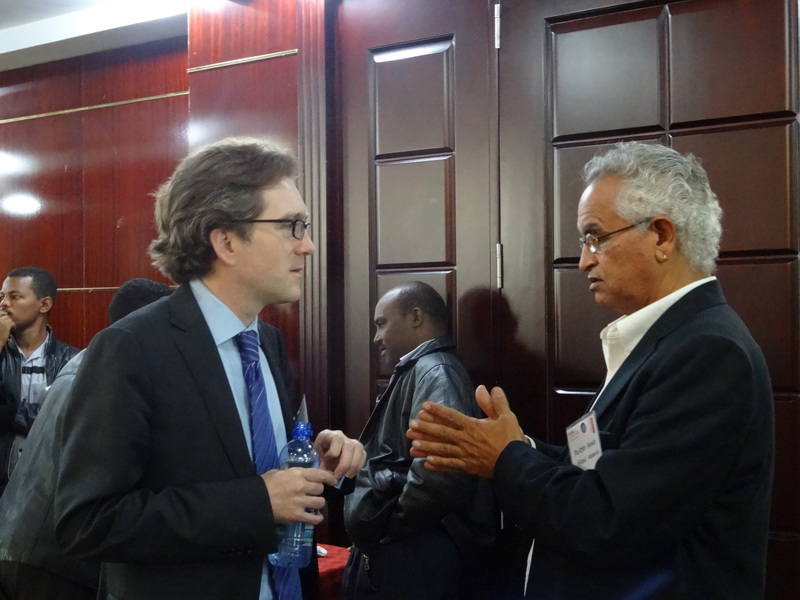 This two-day training in Addis Ababa was facilitated by Mr. Tom Keatinge, a finance and security analyst and former Managing Director at J.P. Morgan, in partnership with local expert Mr. Muluken Yirga Dubale, Legal Services Head at the FIC. Trainers presented practical information on the impact of money laundering and terrorist financing on Ethiopia and the global community, international standards and conventions on AML/CFT, the role of designated non-financial businesses and professions (DNFBPs), and strategies to enhance inter-sector coordination and cooperation. On the second day of the training, participants were divided into sector-specific break out groups to enable interactive discussions on sector specific challenges, implementation of a risk-based approach and best practices for AML/CFT compliance. Feedback from training evaluations indicated that participants felt they had greatly enhanced their level of understanding related to these topics, and would be able to utilize this information in their current positions.